Stay up-to- date on Braveheart Sales news and developments. Stay up-to-date with Braveheart Sales on important news and developments. Gretchen Gordon of Braveheart Sales Featured in SDM Magazine. Braveheart’s Gretchen Gordon Featured inColumbus CEO. Security Info WatchFeatures Gretchen Gordon of Braveheart Sales Performance. Gretchen Gordon of Braveheart Sales to present the Winning Sales Strategies webcast for Security Systems News. Part One: Upgrade Your Sales Force Thursday, May 8, 2014 – Watch the webcast now! Part Two: Sales Manager vs. Salespeople: Understanding Their DNA Differences July 10, 2014 –Watch the webcast now! September 17, 2014 –Four Things CEOs Need to Understand about Sales Management… read more. 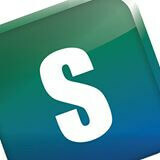 April 2014 Newsletter – The Six Steps to Effective Sales Talent Hiring….read more. Be sure your sales team understands the “why” and “how” of your customers’ decisions…. read more. While there are different ways to create an all-star group, one rises above the rest… read more. This eBook talks about the 5 specific activities that will get you the best return on investment of your time in the form of increased effectiveness by your sales team. Click here to download eBook. 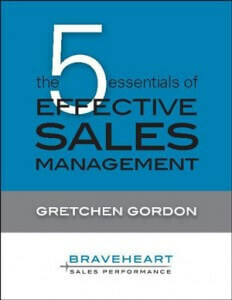 Braveheart Sales would like to announce Gretchen Gordon as a speaker at the Sedona Users Conference in Marco Island, FL. on January 28, 2014.